A special range of plastic boxes have been developed for this format and 10th Planet can provide these boxes and the accompanying printed parts. 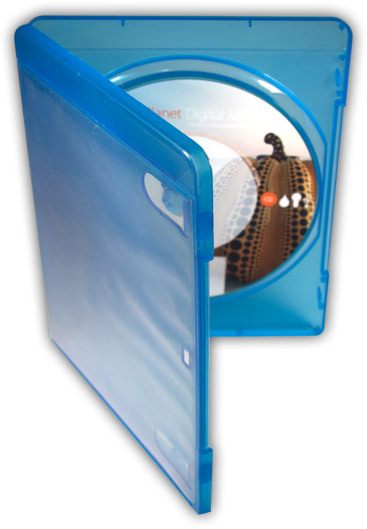 Blu-ray discs can also be packed into any CD or DVD packaging solution. The standard packaging for retail Blu-ray, but can equally be used to transport CD and DVD. Slightly smaller than a standard DVD case but has space for a sleeve and booklet.